Your safety is our business and we take this responsibility very seriously. We provide trusted, professional security services for retail premises, licensed premises, apartment blocks, building sites, offices, hotels and much more. 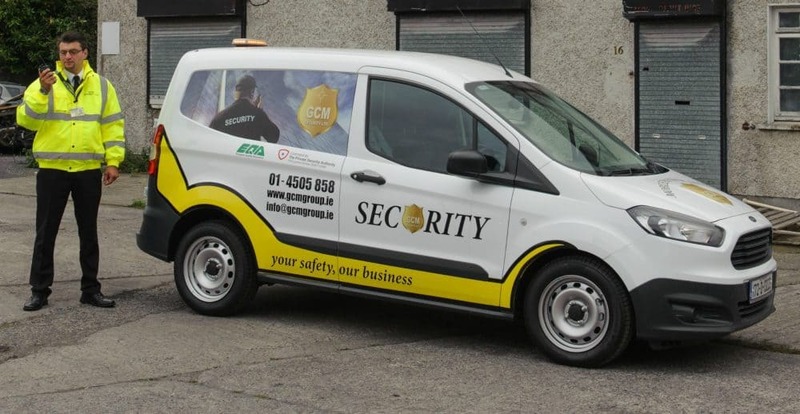 GCM Security Ltd is based in Dublin and provides services to all of Ireland. Do you require professional retail security services which give you peace of mind? Do you need retail security officers who are experienced, friendly, approachable and yet discreet? At GCM Security Ltd, we provide a wide range of professional services to the retail sector, from retail security officers and mystery shoppers, to store detectives and undercover internal reporters. Our highly trained and experienced static security officers can provide a safe, secure environment for you, your employees and your premises. From apartment blocks to building sites and large distribution centres with multiple officers, to one-man standalone shopping malls, GCM Security Ltd can provide you with the appropriate professional guarding services for an exceptional static security job. All of our officers are highly trained and we provide a superior service nationwide. We also offer a cost effective alternative to static guarding, where a continuous presence is deemed unnecessary. 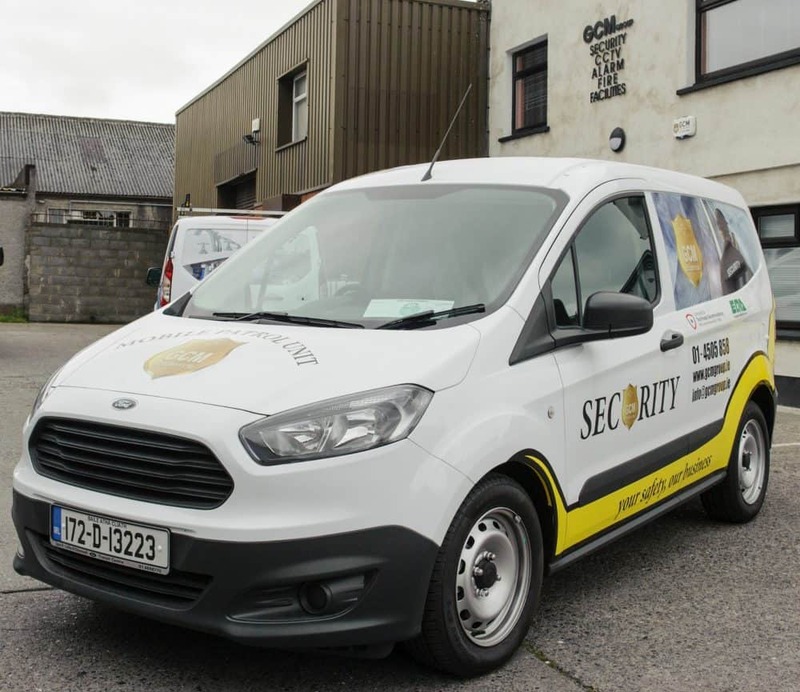 We provide fully equipped and uniformed teams with a fleet of high visibility vehicles to make random security patrols of clients’ premises, through the night and at weekends – to ensure the security of all doors, gates and windows. Our Corporate Security Officers are trained to realise that when working on a client’s premises, they must respect that client’s reputation and brand. They know that their actions and demeanour will affect how a customer or visitor will perceive the client and therefore understand the importance of a professional approach to their work. Whether it’s simply a key holding service, or an actual alarm response, door locking or an internal on-site check that’s needed, you can rely on our alarm response team to act quickly and efficiently. Our high profile response vehicles provide regular patrols of your site and act as a visible deterrent to unwanted loiterers. Our patrol and inspection service can be tailored to suit your needs, making sure you get exactly what you want. There may be occasions where you require building access by employees, contractors or other visitors outside of normal hours. GCM Security Ltd will hold on to your keys and provide lock and unlock services for your premises. Furthermore, we can provide access support to tradesmen in emergencies in relation to facilities such as water or electricity. The GCM Security Ltd key holding and alarm response service can not only eliminate the inconvenience of false alarm activations, but can also assist you in exercising your duty of care to your employees by removing the physical risk they may face as a result of a genuine activation. We will act as your primary key holder and respond to alarm activation on your behalf. In the event of your alarm being activated, our 24 hour command and control centre will liaise with your alarm receiving centre, verify the cause of the activation and if necessary, liaise with the gardaí, alarm companies and repair contractors on your behalf, to re-secure your premises as quickly as possible. GCM Security Ltd supplies doorman services to meet your security needs. A doorman is the first point of contact your customer will experience when arriving at a venue. Doormen are paramount to your business’s success, sustaining the venue’s reputation and atmosphere and ensuring the safety of your customers. We listen closely to your specifications and provide doorman services which fit seamlessly within your setting. We pride ourselves on the personal touch and will assist in any way to meet your doorman requirements, ensuring a service that is of the highest professional standard and second to none. GCM Security Ltd can provide a single doorman for a small pub or a private party to any number to provide a complete team of door supervisors for a large capacity night club or event. We set a level of dress and conduct policy that all our door supervision staff must adhere to at all times, to give the client the best representation possible.